I would like to create a path in Inkscape, snapping some of its nodes to itself while drawing it. 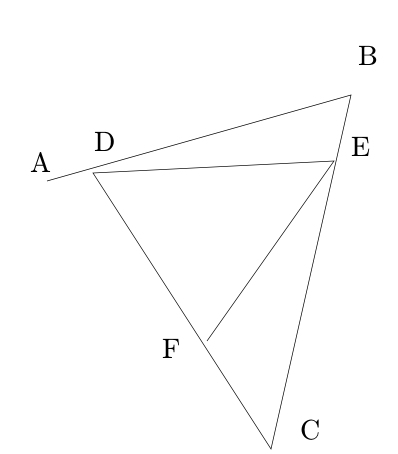 As an example, in the image below, I would like D, E and F to be snapped to the segment AB,BC,CD, respectively. I need to do this multiple times,so I would prefer not to subdivide segment, or use grid/handle tools. Any suggestion? At this stage, the fastest way I've found is to draw the segments AB BC and CD, then duplicate and convert them to guides, then draw DE and EF snapped to the guides. 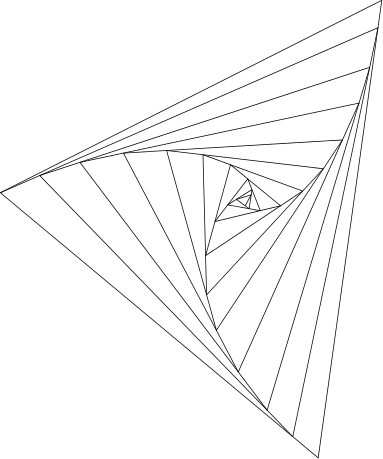 However, since I want to do this iteratively, in order to obtain shapes like this it is still quite a slow procedure. You can actually use a clone to improve your workflow here, as the path tool will snap to a clone of the path you are editing. Is it possible for Inkscape to snap to a path's border instead of the path?